Black Lightning 2.1: “The Book of Consequences: Chapter One: Rise of the Green Light Babies” Review – Eggplante! In the heavy fallout of Season One’s events, namely the public exposure of the ASA’s human experiments, Freeland has become even more of a social and political powder keg with the start of Black Lightning’s second season. With the truth about Green Light and its effect on metahumans now being known to the public, people with powers have since become public enemy number one in the city. It’s this new status quo for Freeland, along with the civilian struggles of the Pierce family, that ends up taking center stage in this week’s season premiere, “The Book of Consequences: Chapter One: Rise of the Green Light Babies”, with Black Lightning and Thunder barely showing up at all this week. Thunder doesn’t even properly make an appearance at all, in fact, at least not entirely. That’s not to say that we didn’t get some action however. We did get one extended fight scene with Anissa, dressing up in a rudimentary disguise and not her Thunder persona, as she robs some criminals in an effort to steal money for the Freeland community, so that they can sue the government and regain custody of their metahuman relatives. This is probably the best of the episode’s three brief fight sequences, which didn’t always mesh with the rest of the story, and largely felt put in simply so the episode could avoid feeling too sluggish. Unfortunately, it’s also true that, with no Black Lightning in the action sequences, this show’s choreography shortcomings really showed. The reason why the Anissa sequence was the best among the brawls is probably because the show at least has enough experience with Anissa’s powers at this point to make her look reliably badass, even when she’s not in her Thunder attire. Black Lightning is definitely not Arrow however, particularly where the action scenes are concerned. The show has managed some solid action scenes in the past, but all of them always involved either Black Lightning or Thunder to some extent. In this case though, not one, but two of the three action sequences in this season premiere involved Kara, who is attempting to buy her freedom from the ASA by stealing back the mysterious briefcase from Tobias Whale. The first of these is a battle with Syonide, which is alright, but it definitely feels a little too over-the-top and ridiculous, considering the very grounded drama and social commentary that otherwise dominated this episode. Likewise, Kara actually appears to kill Syonide at the end of this fight, with a spiked stiletto no less, and the show just kind of hand-waves this away (maybe Syonide survived this due to the carbon fibers under her skin, but I don’t think those would save her from a blade to the throat! ), despite Syonide being Tobias’ lead enforcer throughout the first season. Sure, Kara at least takes a harpoon in the gut after actually making it to Tobias, as a reprisal for killing Syonide, but that leads into another unintentionally funny scenario wherein Kara is trying to fight Tobias, and jumps out of one of his windows, with a freakin’ harpoon in her stomach! Yes, I’m aware that this is a DC show, but even Legends of Tomorrow would probably comment about how absurd this is! 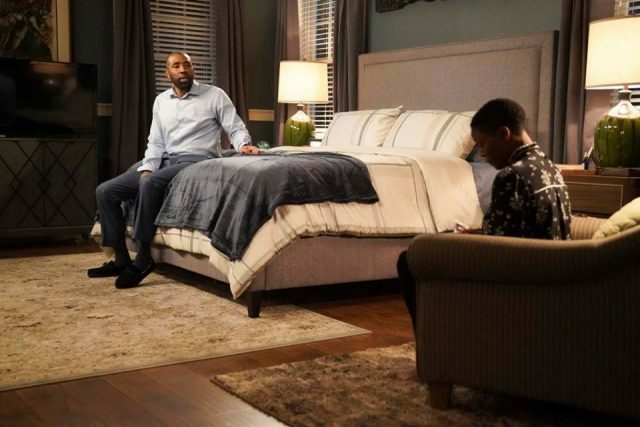 In a more grounded show like Black Lightning, these comic book-style sequences stick out like a sore thumb, and it seems like the show is still struggling to achieve a perfect balance between its desire to honour its comic book roots, while also being a forward-thinking social drama. Fortunately, the actual drama in the episode was pretty much on-point throughout, finding lots of inspired ways to build upon the big events that occurred at the end of Season One. Even though he only appears as Black Lightning in one scene in this episode, and he doesn’t even fight anyone to boot, Jefferson is nonetheless confronted by Henderson with all of the clues he left regarding his superhero identity in the wake of Season One’s events. Henderson has completely figured out that Jefferson is Black Lightning, and Jefferson ultimately decides to come clean and unmask himself. While Henderson initially asks if Lynn is Thunder (come on, really? ), he soon after also quickly figures out that Thunder is Anissa, and this puts the two longtime friends at odds. 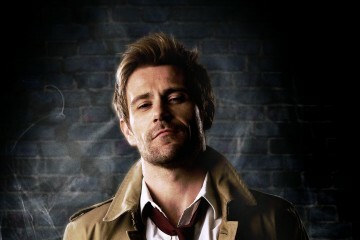 This is actually a very bold choice for the show, since, while Quentin Lance eventually did learn about Oliver Queen’s vigilante identity as the Green Arrow on Arrow, and Joe West learned that Barry Allen is The Flash right from the very first episode of The Flash, it was something that both cop figures eventually learned to embrace with open arms as valued police allies. In this case though, the revelation of Jefferson’s identity shatters his friendship with Henderson immediately, particularly as this creates an outstanding new challenge for Henderson’s new job as Deputy Commissioner. Sure, Henderson has his hands full with the so-called, “Green Light Babies” right now, but is he even going to allow Jefferson and Anissa on the streets in the end? Henderson learning his secret identity isn’t the only thing that Jefferson has to be concerned about either. 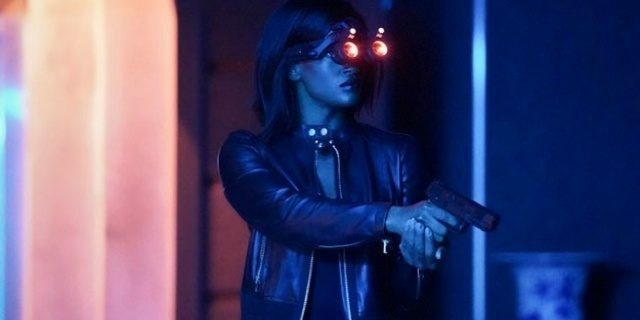 With Anissa clobbering criminals and robbing them to benefit the community, this begs the question of how this will affect Anissa’s identity as Thunder, and how Thunder’s partnership with Black Lightning may or may not hold up in the near future. 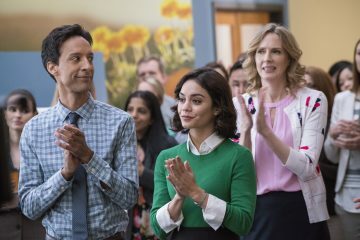 Jefferson apparently not being present during the attack on Garfield High by Khalil and Tobias also gives the board the perfect excuse to shut the school down, though Jefferson stops this in the eleventh hour by sacrificing his job as principal. We don’t see the fallout of this decision yet, but it’s clear that Jefferson’s collapsing professional life is bound to be a big focus in Black Lightning’s second season. The CW’s other DC shows would probably cue this up as the point where its titular hero would probably try to forsake their civilian identity in an effort to try and distract themselves from their civilian failures, but something tells me that Black Lightning isn’t going to go that way. I’m quite interested to see where it does go with this twist over the next few weeks. This just leaves the subplot with Jennifer, who is essentially on the ‘ground level’ regarding the civilian opinions on metahumans in Freeland. After enduring anti-metahuman rhetoric more than once from Kiesha, and arguing with Lynn about how to carry on with her abilities, Jennifer gets into several sticky situations on account of stress accidentally triggering her powers. After Anissa catches Jennifer floating in her sleep, she then accidentally zaps Lynn during an argument, and starts glowing while Kiesha is over, just barely managing to duck into the bathroom as it starts happening. Jennifer is clearly having a very hard time controlling her abilities, in an X-Men-style theme that allows her to represent the dark side of being a metahuman in this universe. Despite The Flash, Supergirl and Legends of Tomorrow most notably all pretty much presenting metahuman abilities as practically a fun toy to wield, Jennifer’s situation is quite different, leaving her with volatile abilities that constantly seem to be destroying any chance she has at a normal existence. Jefferson does at least manage to stop Jennifer’s energy-induced glowing so she can come out of the bathroom, but how much longer is Jennifer going to be able to function in school, or anywhere else, without it coming out that she has powers? Tying all of this together is Lynn vowing to keep watch over the pod people, despite the continued probing by the government about her involvement in the events of the first season, which should create an interesting contrast to Jefferson suddenly finding himself without a life direction. Black Lightning is still mostly firing on all cylinders with its dramatic writing for the start of its second season, even if it sometimes disturbed that drama by having to force in some somewhat awkward fight scenes to keep the audience alert. I almost wish that the episode didn’t even bother with that, or perhaps only had the sequence of Anissa robbing those criminals, since the weird fight choreography just feels like it merely takes up space in an episode that is clearly most focused on dealing with the personal and professional fallout for the Pierce family after Season One. Even with the show still not perfecting a balance between its human element and its comic book element however, Black Lightning remains one of the smartest and most interesting shows on The CW at present, and I’m glad to see that this doesn’t appear to have changed in Season Two. 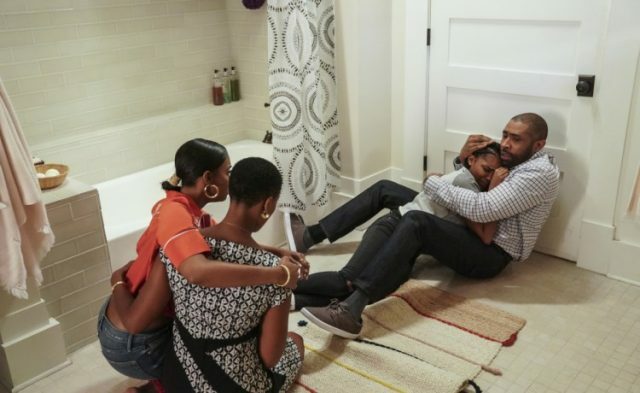 Black Lightning kicks off its second season with a heavy focus on the Pierce family's struggles this week, intentionally leaving the superhero themes to to take a back seat.